Below you will find a list of SRAHEC’s upcoming live events. Use this page to explore dates, times and topics of conferences that fit your needs! For questions or issues with registering for any of our live events, please e-mail [email protected]. Our online registration system makes it easy to register and pay for your upcoming conference. If an invoice is needed to process payment, please mark “Pay by Check”. You will need to send an e-mail to [email protected] or call 386-462-1551 to request the invoice. 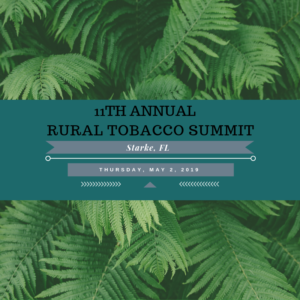 This annual summit is designed to provide health professionals, community educators and tobacco treatment specialists with up-to-date information on best practices in tobacco cessation with a focus on rural communities. 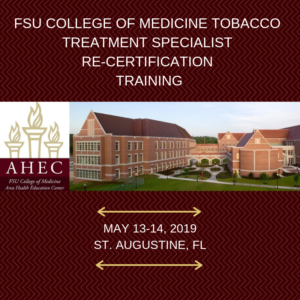 This training is for Certified Tobacco Treatment Specialists (CTTS) who need hours for recertification and Tobacco Treatment Specialists (TTS) seeking hours for certification or similar purposes. Join us to look at increased ways to collaborate in achieving health equity for members of our communities. 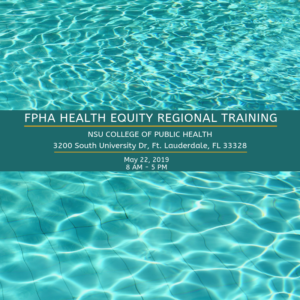 Presentations will focus on health equity and how they relate to various topics such as behavioral health, geriatrics, aging populations, and patients with disabilities. 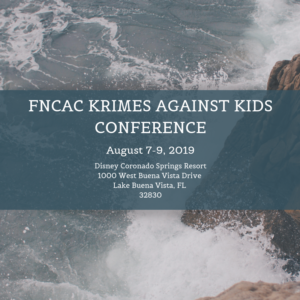 The Florida Network of Child Advocacy Centers is pleased to announce the 2019 Krimes Against Kids Conference and our return to Disney’s Coronado Springs Resort! With over 50 sessions in three days, topics range from human trafficking, working with victims of abuse and forensic investigation. Our faculty includes presenters who are recognized for their passion and expertise.